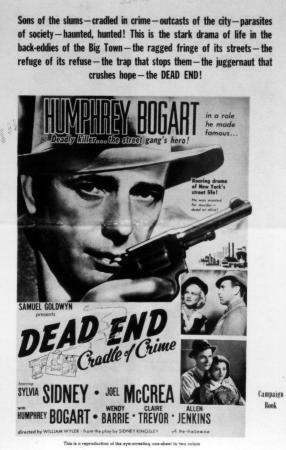 Historical photograph of movie poster, "Dead End - Cradle of Crime" with Humphrey Bogart, 1937. Source: New York State Archives, New York (State). Motion Picture Division. License application case files, 1921-1965. A1418-77, Box 550, File 33438.